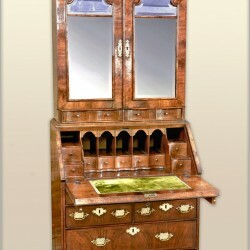 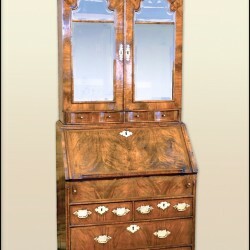 Categories: Bookcases & Cabinets, Fine Walnut, Sold. 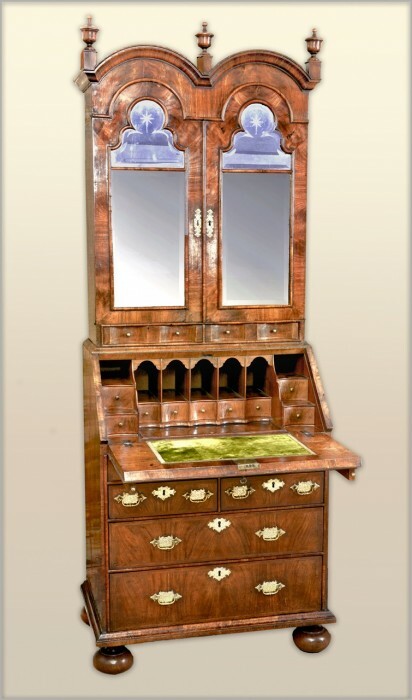 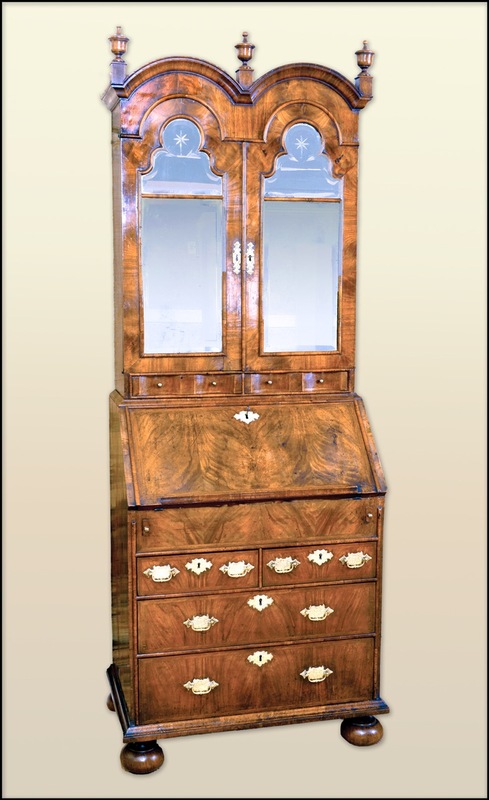 This rare small bureau cabinet made in two sections, the upper with double dome deep mouldings to the top and returns and shaped bevelled Vauxhall glass mirrored doors with engraved stars enclosing shelves and concave shaped drawers below. 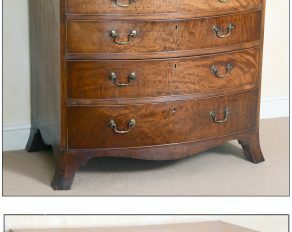 The lower section having a fall front enclosing a serpentine shaped fitted interior of pigeon holes and drawers with a well and secret drawer, raised on bun feet. 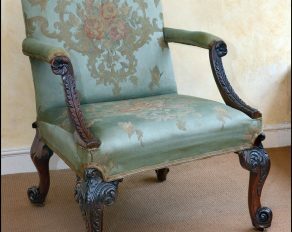 Superb colour and patina.